This Stunning runner is woven in pure wool and cotton material using a hand-knotted technique. It contains a series of four flowers in the center of runner which is the main attractive point. It is suitable for a bedside. 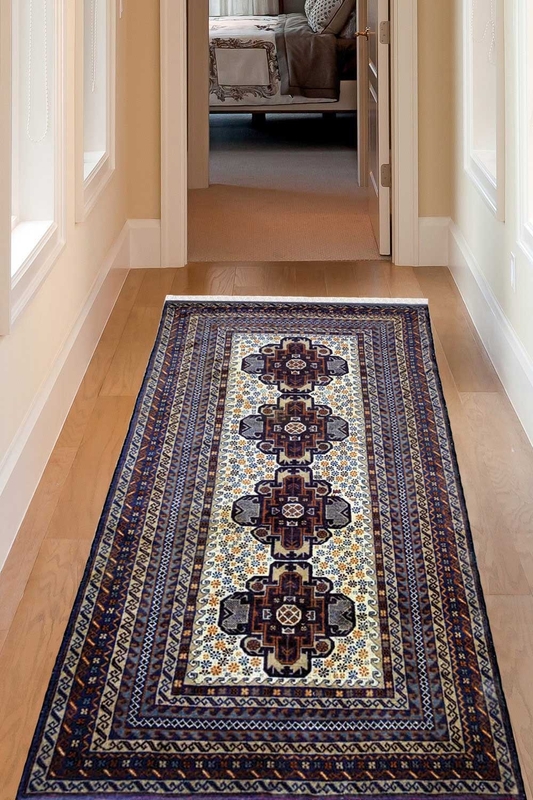 It is the perfect size of the Runner for using it in general places like bedside, on the dining table, entryway etc. You can use it for your living room and bedroom as well. This Afghan Runner rug is thick due to piles. So if you want to use it in an outdoor place then you can use it. The antique look and warm feel of this rug make it stand in the category of the famous rugs from India.